There's one thing I can say with confidence... my guess is Tesla isn't a Munro & Associates customer don't think he would have went off like that if they were. +1 In the 90's while at a startup we would occasionally tear down mobile phones of competitors of Motorola and NEC, also did some tech research for mobile phones for Sony. All the NDA's with those three had a no public disclosure clause for any of the work we did. I am sure you can build 1 and wait for 2 years if you want one.... but seriously at that price range, i dont see the point. I would rather go lease a i3 with range extender for 250 a month... if EV is what you going for. If not, there are much much better cars than a $35k model 3 with nothing in it. and lousy range (~80-100 miles depending on battery). 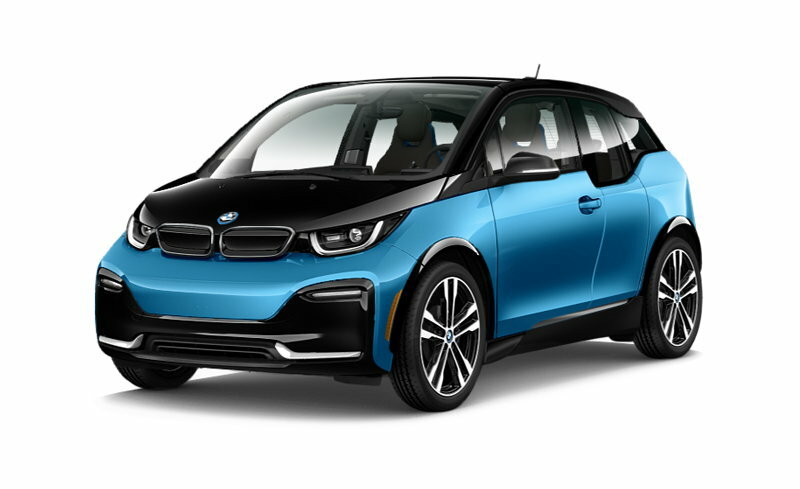 The i3 is a fugly short range electric. At least the Chevy Bolt has very good range (~240miles). I agree but to be honest, Model 3 is just ugly, if not uglier IMO. But at least i3 is dirt cheap to lease. I3 with range extender is 180 miles.. "Advertised"
I dont expect either would actually get anywhere close to that in the real world. both are ugly, i am not sure what is the leasing rate for model 3 but i know it cant be as cheap as i3 with the extended range. A i3 MSRP is $45k and only 168HP electric vs the 3 258HP motor. The i3 is just a bad ugly electric, at least the 3 is attractive IMO and versatile. I won't buy either, but if I prefer the 3 for it's styliong, high tech approach and is quite a useful overall vehicle. Last edited by Legend2TL; 02-08-2018 at 12:25 PM. I've seen a few Model 3's on the road already. They're not bad at all. I don't think they're as polarizing as the i3, the Prius, the Aztec, Nissan Juke.. It's funny that your techie daughter is getting a Model 3, Legend... my sister put a deposit down as a gift to our mom. She isn't the most techno-literate, but she manages okay, and we think she'll enjoy it. There's something to be said about how quiet it is in an EV. It's funny that your techie daughter is getting a Model 3, Legend... my sister put a deposit down as a gift to our mom. She isn't the most techno-literate, but we think she'll enjoy it. Tesla did burn 2 billions in 2017. They delivered like 1500 Model 3 in December. About 450000 pre-orders after 60000 cancellations. So 448 500 to go (or 12 years)! ^ Musk said that right at the end of Dec they were up to almost 1000 per week. Doubtful they'll make the 2500/week goal for March and 5000/week goal of June but volume is going up quite bit. 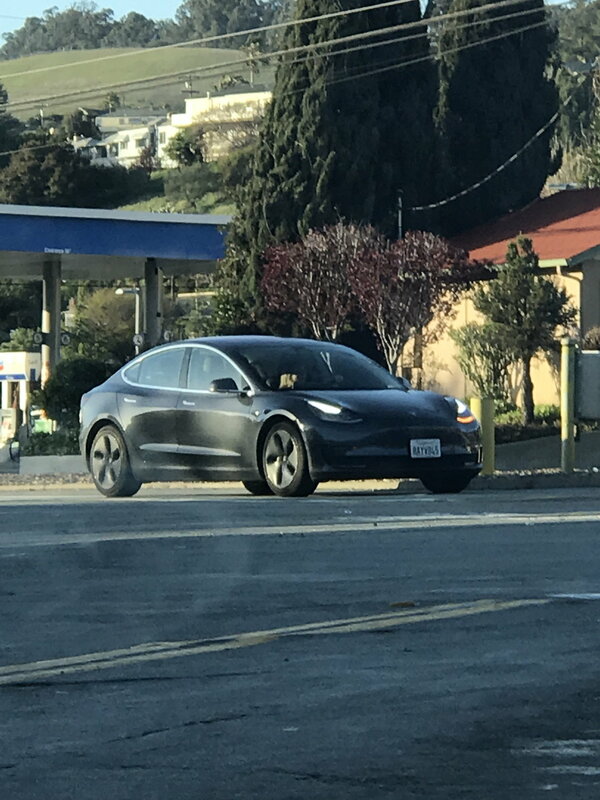 Saw my 1st Model 3 yesterday in South Pasadena. Car is pretty small compared to my friend's Model S. Looks better in person vs in pics. And this is pretty cool. Model 3 tracker lets you see approx. how many they're building per week. As of today, they're building 1,052 per week. They've got 6 weeks to hit their 2,500 per week by end of 1st quarter goal. Tesla has accomplished something no other automaker can claim: It's made a relatively affordable electric car, the Model 3, that hundreds of thousands of people are lining up to buy. The only problem is that Elon Musk and company can’t produce enough of them. Sluggish output since the Model 3 launch in July 2017 has frustrated fans and confounded Wall Street. 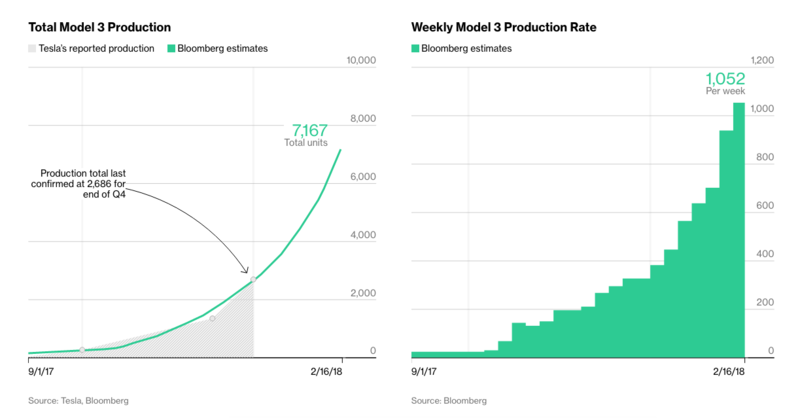 That’s why Bloomberg built its own tool to estimate the number of Model 3s rolling out of the factory in Fremont, California. This projection relies on Vehicle Identification Numbers (VINs), unique strings of digits displayed on every new car sold in the U.S.
Our best estimate is that Tesla has manufactured 7,167 Model 3s so far, and is now building approximately 1,052 a week. Those figures, and the charts below, represent Bloomberg’s latest estimates and will automatically update to reflect changes in the data. The Bloomberg Model 3 tracker relies on data from official U.S. government resources, social media reports, and direct communication with Tesla owners. We have two methods for gathering and analyzing the VIN data. Tesla declined to comment. The milestone suggests production of the vehicle at Tesla’s assembly plant is picking up steam after a turbulent beginning in July. Previously, the Silicon Valley auto maker had limited opening orders to reservation holders who were employees or had been previous Tesla customers. Tesla confirmed a small group of customers are receiving notifications Thursday based on when they placed their reservations. The company traditionally has rolled out invitations in small groups and over time aligned them to production rates. Tesla has received about 500,000 reservations for the Model 3 since revealing the sedan in 2016. The company expects that customers invited to complete their design will receive their cars about four weeks after placing their order. In January, the company reported delivering about 1,600 Model 3 vehicles during the final three months of 2017—well below its goal of a build rate of 5,000 Model 3s on a weekly basis. Tesla pushed back that goal until the end of the first half. A rate of 5,000 vehicles a week would equal about 250,000 cars a year. Luxury automaker Tesla is manufacturing a surprisingly high ratio of flawed parts and vehicles, according to several current and former employees, leading to more rework and repairs than can be contained at its factory in Fremont, California. One current Tesla engineer estimated that 40 percent of the parts made or received at its Fremont factory require rework. The need for reviews of parts coming off the line, and rework, has contributed to Model 3 delays, the engineer said. Another current employee from Tesla's Fremont factory said the company's defect rate is so high that it's hard to hit production targets. Inability to hit the numbers is in turn hurting employee morale. To deal with a backlog of flawed parts and vehicles, said these current and former employees, Tesla has brought in teams of technicians and engineers from its service centers and remanufacturing lines to help with rework and repairs on site in Fremont. They also said that sometimes the luxury EV maker has taken the unusual measure of sending flawed or damaged parts from Fremont to its remanufacturing facility in Lathrop, California, about 50 miles away, instead of fixing those parts "in-line." Tesla has acknowledged problems with production of batteries, but said it is still on track to meet its target of 2,500 Model 3s per week by the end of March, and 5,000 Model 3s per week by the end of the second quarter. Over the weekend, Tesla revealed that it halted its Model 3 production lines in February to give the company time to make improvements. A company spokesperson said temporary downtime for equipment maintenance and commissioning is "common in production ramps like this." She said that there may very well be other periods of downtime on the line in coming months. Saw 3-4 semis headed east-bound, full of Model3, on I-10 between El Paso & Los Angeles last week. First time 'seeing' one in the metal, better than photos, from what I could tell in passing at opposing highway speeds. i think it looks worse in person. Saw one at the airport yesterday. Not very good looking. The backside looks all wrong/cheap. I lost interest when they said it had no gauge cluster. I'll pass and wait till I can afford a Model S.
but chances are it s gonna look weird too. Same. or a decent size e-tron. It would be nice to have a full collection of competitive offerings. The world's most closely watched electric automaker is known for its talent to generate suspense, whether at official reveals of new models or on the pages of financial reports. And that automaker's most closely watched car continues to be the Model 3, which was treated as a make-or-break model for Tesla even before production began less than a year ago. The Model 3 is Tesla's most affordable car and its first truly "volume" EV, but when it comes to assembly it has also been the most difficult right from the start, presenting challenges with everything from steel welding to battery module assembly to panel fit. Tesla worked overtime and burned through billions in cash as Model 3 production crawled along, and the automaker appeared to be in its most vulnerable position in years as it repeatedly pushed back production goals. By December 2017, Tesla expected to be churning out 5,000 Model 3s a week but had pushed that target back to the end of the second quarter of 2018. The first quarter ended three days ago, and Tesla has shared its output figures, reporting that it produced 2,020 Model 3s in the past seven days, falling a little short of a 2,500 cars per week target but making rapid progress just in the month of March alone. Tesla says that production has grown by 40 percent over the last quarter of 2017 when all models are taken into account: 34,494 vehicles were produced during the first quarter, including 9,766 Model 3s alone. The automaker delivered 8,180 Model 3 sedans, 10,070 Model X crossovers and 11,730 Model S sedans to customers in the first quarter. "Given the progress made thus far and upcoming actions for further capacity improvement, we expect that the Model 3 production rate will climb rapidly through Q2," the automaker said in a statement. "Tesla continues to target a production rate of approximately 5,000 units per week in about three months, laying the groundwork for Q3 to have the long-sought ideal combination of high volume, good gross margin and strong positive operating cash flow. As a result, Tesla does not require an equity or debt raise this year, apart from standard credit lines." Tesla indicated that Model 3 production has settled around 2,000 cars per week, with plans to produce 2,000 examples of each of its three models in the next seven days. Overall, this is positive news for the automaker -- the market certainly agreed this morning as Tesla shares jumped almost 7 percent for a time, before falling slightly -- even though it has not reached the announced target. In March, Elon Musk said that a battery module assembly line simply was on the wrong side of the globe, in Germany instead of Nevada, holding up Model 3 production, and that smoother sailing was on the horizon. "It has been extremely difficult to pass the 2,000 cars per week rate for Model 3, but we are finally there," Musk wrote in an email to employees this week. "If things go as planned today, we will comfortably exceed that number over a seven-day period!" The next target? Tesla still aims to produce 5,000 Model 3 sedans per week by the end of June, but it remains to be seen whether this target will be easier to reach than getting to 2,000 after nine months. The numbers are quite deceiving - most of the quarter they were averaging just over 1000 per week, it's only at the end of March with OT they reached 2000+ per week. Oh, just some sensibly priced electric BMW 3 Series rival from a little-known American start-up. Except this is the sensibly priced electric 3 Series rival that has the world’s knickers in a twist. 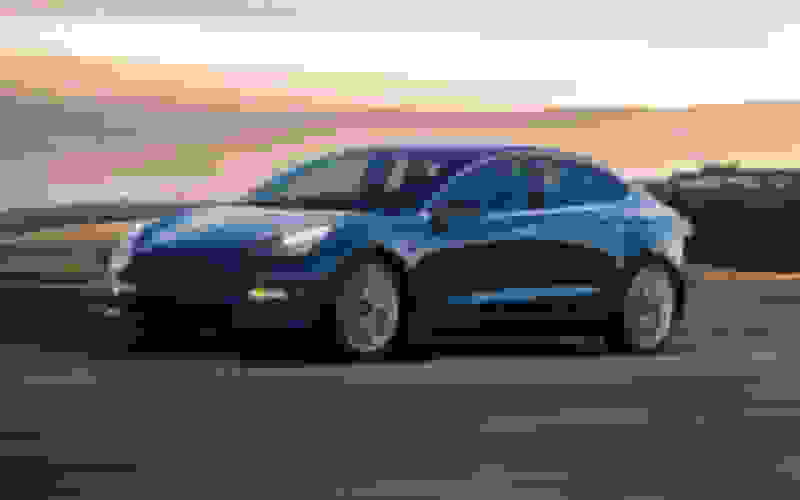 You’ve probably heard the headlines: the Model 3 is a smaller, half-price (or thereabouts) compliment to the Model S and Model X; there are well over 500,000 paid reservations; it’s the lynchpin of Elon Musk’s mission to rid our roads of fossil fuels (before we all move to Mars), and it’s also the thing giving Musk a significant pain in the arse as his company tries to ramp up production to 5,000 cars a week in the short-term, building towards churning out 500,000 Model 3s a year. Currently the production number hovers at just over 2,000 a week. Order a Model 3 now in the US and you’ll realistically be waiting around 18 months for delivery. Order a right-hand drive 3 in the UK now and it could be as long as two years. Demand is clearly feverish, but would you be prepared to wait? And there’s more - reports of sub-standard build quality as Tesla tries to push the cars out, are rife. It must be said, though, that the car we spent a day with in and around New York was perfectly well put together, but you’d expect no less from a press demonstrator. We won’t patronise you with another recap on the cornerstones of the EV driving experience (smooth, quiet, instant torque etc), so instead let’s focus on the difference between driving a Model 3 and its bigger brother, the Model S. First thing to address is speed. Even in base-spec ‘75D’ trim the Model S covers 0-62mph in 4.4 seconds, while the P100D does it in a gut-warping 2.7 seconds. With the Model 3 you have a choice of two versions – the standard car (0-62mph in 5.6 seconds, 130mph top speed, 220-mile range) and a long-range model (0-62mph in 5.1 seconds, 140mph, 310-mile range). We drove the latter - the only model Tesla is currently building before rolling out the lower-spec car later in 2018. There is no ‘Ludicrous Mode’, there’s no four-wheel drive, there’s no adjustable air suspension (just fixed rate springs and dampers)… but who cares when frankly, the Model 3 never feels anything less than enthusiastically fast. If we’re keeping the 3 Series comparison rolling, then the rush of acceleration is more 340i than M3, but because it’s perfectly linear, because there are no gear changes required, because you’re never caught off boost, it feels more lively than a 340i, more of the time. Rear-wheel drive it may be, but there will be no skids here. In fact the only manual adjustment to the traction control you can make is a ‘slip start’ – designed to get you moving from a standstill on low-friction surfaces. Beyond that you can choose three weights for the steering (we tried all three in the first five minutes, then left in in the middle setting for the rest of the day)… and that’s your lot. Turn it on by waving the key card somewhere near the cupholders, pull the Merc-sourced column shifter down, right pedal to move, left pedal to stop, steering wheel to turn. Simple. Unsurprisingly, that steering wheel doesn’t offer the last word in feedback, but like so many modern racks it counters with a quick ratio and zero slack, so the whole car feels tight, alert and moves as one solid unit. Add to this the fact the battery pack is in the floor pan, which gives the 3 an unusually low centre of gravity, and there’s (whisper it) actual fun to be had here. The Model S has long been criticised for having a vomit-inducing turn of speed in a straight line, but lacking any real emotion. The 3 moves things on. Push it too hard and physics will take over – this is still a heavy car and the tyres can only take so much – but it’s a whole league nimbler than the Model S. On fast, sweeping corners keep your inputs smooth, your foot away from the brake pedal and you can hustle it at quite hilarious speeds. Alternatively simply enjoy its 0-30mph point and squirt potential around town and lifting-off to slow down, using the brake energy regeneration to stop rather than an old-fashioned pedal. The ride is firmer than a Model S, but rarely crashy – and this is on the crumbling, weather-beaten tarmac in and around Manhattan, chances are it’ll cope well in the UK, too. The sensation is firmness, but well damped firmness, much like the sporty German saloons it’s looking to eradicate, but there’s purpose to its tautness – the chassis feels properly developed. Thing is, the Model 3’s appeal is as much about the self-driving tech and connectivity as the nuggety ride quality and granular steering feel. Probably more so. So, the Autopilot system – a $5,000 option, or $8,000 if you want to prepare the car with all the sensors and cameras it’ll need in the future for more advanced autonomous functions. The interface is different to the Model S in that you have to wait for a small grey steering wheel to appear on the top left hand corner of the screen. One tap down on the gear selector activates the active cruise control, a second tap lets the car steer for you between a set of defined white lines. On the right road it works fine and let’s you take your hands off for much longer than the equivalent BMW or Audi systems, before bonging at you. However, apply too much pressure to the steering wheel with your finger and it’ll deactivate the auto steering function, possibly mid corner. Not ideal. The graphic for setting your maximum speed on the cruise is also on the small side, tucked away in the corner of the screen – why not use the scroll wheels on the steering wheel for that? An over the air update will sort that out soon, says Tesla. Staying true to the Model S maxi-minimalist interior design, the Model 3 is just as stark. The dash is nothing but a slab of wood running the full width (less appealing plastic on the base models), a full-width air vent and a 15-inch touchscreen, landscape orientated, rather than the larger portrait screen in the S.
Scour the cabin and the only physical buttons you’ll find are two unmarked scroll wheels on the steering wheel (left blank so Tesla can change their functions if needs be via software updates), buttons for the electric windows, a button for the hazard lights above your head and a button on the grab handle to open each door, although there’s a physical lever below that. The seats are comfortable, electrically adjustable (if you go for the $5,000 Premium Pack that is, that adds heated seats all-round, that wood trim mentioned earlier, an upgraded stereo, tinted sunroof and folding wing mirrors) but could do with better lateral support. Also, how Tesla manage to make real hide look like pleather is endlessly fascinating. On the subject of equipment, here’s what you get as standard on the Tesco Basics $35,000 model: 18-inch alloys, 15-inch screen, on-board wi-fi, sat-nav, 60/40 split folding rear seats, LED headlights and taillights and a reversing camera. Not bad, but you’ll have to be a staunch penny-pincher to resist the allure of that $5,000 premium bundle. Space in the back seats is fine for anyone up to six foot tall, a bit cramped beyond that, but it’s worth it for the endless view out through the full-length sunroof that wraps right around and behind your head. It’s because of that infinity roof that the 3 isn’t a hatchback, so you have to make do with a notchback boot, although split folding rear seats mean you can fit longer objects in, too. Fallen on hard times? Drop the back seats and a double blow up mattress slots in perfectly. Overall, the build quality and materials are a step behind the established premium European players, but by keeping things super-simple, it’s never really an issue. Acres of plastic switchgear and multiple screens and sockets would have only highlighted Tesla shortcomings. As it is, everything is dominated by that central screen. The general idea is that the quarter closest to the driver is dedicated to information and controls you might need while driving. These include a visual representation of your autopilot situation and shortcuts to the trip computer, charge status etc. The rest is dominated by a map or whatever you want to overlay, such as your radio or music streaming, climate control settings and phone status. Alternatively, you can dive into the settings menu (best to do this when stationary) and have fun adjusting the wheel for reach and rake with the scroll wheels by your thumbs, or tweaking your steering weight, or… honestly, the list goes on. Although the basic driving controls couldn’t be simpler, this isn’t a car you fully understand in the first five minutes. Like a new smart phone, you need to commit some time to learning the shortcuts, locating the settings you might need and engraining them on your brain. Once that’s done, you can have fun exploring some of Tesla’s ‘easter eggs’ – modes that are there for no reason other to make you and your passengers laugh and prove Elon isn’t an evil genius from another planet, he has a sense of humour, too. Modes like the Mars button that turn the map into the surface of the Red Planet, or the Santa setting (only available with Autopilot engaged) which turns your car into a sleigh, the road into a rainbow and other road users into reindeer. 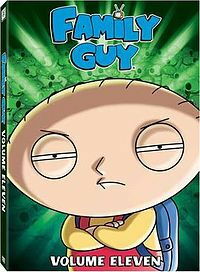 You will either find this fun or excruciatingly annoying. Owning a Tesla Model 3, at least for the next year or so, isn’t for the shy. It’s an odd sensation being papped and pointed at with such regularity in a normal looking saloon car, but the public are fascinated by the 3, and clued up on it too. Prepare for conversations at every set of traffic lights, waves from grown men and women and traffic behaving erratically around you. Your key is a credit card you wave at the base of the B-pillar, or an app on your phone that you connect with the car. A word of warning: don’t leave the key card inside the car and step outside only for it to auto lock itself moments before you realise you have no data signal on your phone. This may involve an embarrassing phone call to a Tesla PR who will unlock the car remotely from the comfort of the dealership. A word on range. Tesla clams 310-miles per charge for this long-range model, our test car was displaying 90 per cent charge and circa 280-miles remaining range when we picked it up. We spent the day crawling around Manhattan, cruising on the freeway to somewhere called Bear Mountain 45 miles away, having ‘some fun’ once there, then heading back into the city. A total of 140 miles of very mixed driving once we handed back the car – as much driving as I would choose to do in a day – and there was still 100 miles in the tank. At no point did the range sweats kick in and at any given point I knew where the nearest supercharger was. Without getting too carried away… it works. A few more superchargers (there are now 8,500 in 1,100 locations globally) and it could realistically be your only car. Now for the bad news – whereas superchargers used to be free with the Model S and Model X, you have to pay as you go with the 3, although there’s an allowance of around five to six free supercharges per year. Plug the car into your three-pin wall socket at home and the juice crawls along, adding about five miles of range for every hour. Get a home wall box and you could charge at up to 16.5kW depending on your home connection – that’s 51 miles for every hour plugged in. More realistic for most UK homes is around 7kW or 22 miles per hour of charging. Everything Tesla has done up to this point has been building towards the Model 3 – a genuinely affordable mass-market EV – but it’s all for nothing if the product itself doesn’t stand up. So the question is, after spending a day in its company, do I want one? Does it have the desirability to drag not just early adopters and tree-hugging environmentalists out of their petrol and diesel fueled cars, but the wider public too? The answer is a surprisingly emphatic yes, and that’s because beyond the hype is a truly well-engineered car. The way it drives is genuinely satisfying, certainly more so than the Model S despite being several yards slower, which elevates it from being an appliance to something worth investigating for the likes of you and I. The way Tesla designs its cars, from the architecture to the user interface, the sales model to the marketing, is unique. There’s a refreshing simplicity to the proposition and a frisson of excitement inside and outside the car, wherever it goes. Having said that, it’s not perfect. Tesla’s production woes are well documented, the waiting list is daunting, the Autopilot function is a work in progress and while slick, the decision to put everything on one touch screen can be distracting when you’re on the move. We admit, coverage of Tesla can get a bit frenzied, at times it’s more like a cult than a car company, but credit where it’s due, the Model 3 is a convincing product. Let’s hope Tesla can build enough of them to make it stick. Saw one for the first time in real life yesterday. It's so unassuming and boring looking that I really don't care to have one. The Model S just has such a presence about it that makes it interesting and cool to look at. This, however, looks more boring than the new Jetta. I would never buy one, but, I think the 3 looks good. At least in pictures. Looks like a nice little entry level car. Not sure what everyone is expecting. Yes, it's pricey. But at this point in time, you can't be looking at price if you want to go EV. It is, and still will continue to be more expensive than any internal combustion engine setup. You buy it because you want to be different, or pretend to care about the environment, or are a hipster, or whatever. I agree with Sam though- the lack of a gauge cluster would annoy me. I'm sure I'd get used to it, but, it just kind of seems weird. I know it's supposed to be trendy or whatever but it just looks cheap in the end. I get that it's more expensive and that's fair but you'd think that your $60k would take you a lot further than it does in this car vs something like a Golf or Civic which seem much better built and designed. I'm sure the 3 series or C class are a whole different level of quality and design. How so? It's designed and marketed to be a competitor to the 3 series. this giant screen in middle is on your face kind. create distraction from road. If you were comparing just car as defined as a mode of transportation to get you from point A to B, then yes, your argument is valid. But then you throw the EV into the equation and then it's not an even comparison.